Deja Vu: Is Taylor Swift Cloning Her Relationship With Harry Styles? Inside Her Romantic Repeats With Tom Hiddleston! Will the second time be a charm? 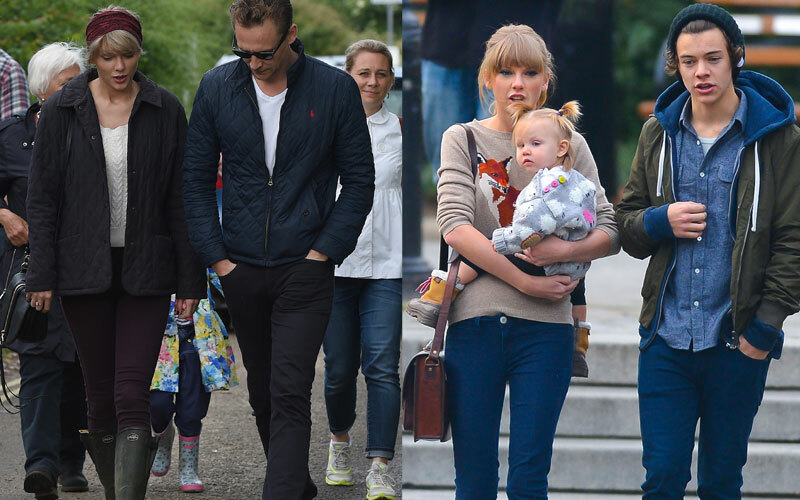 Taylor Swift's dates with her new man Tom Hiddleston are looking awfully familiar. That's because she's done them before! According to Now magazine, the 26-year-old is going on dates that closely replicate those she shared with her ex, Harry Styles. Although Hiddleswift has been a public item for less than a month, they have already gone on several romantic vacations. The same was the case in Taylor's relationship with her 22-year-old One Direction flame. She tested out Tom's dance moves right away, stealing the show at the Met Gala this spring. She and Harry also cut a rug or two in their day. And of course, who can forget how quickly Taylor and Tom met each other's parents? It was not the first time... She and Harry had a swift family intro as well!